Pioneers in the industry, we offer safety shoes from India. 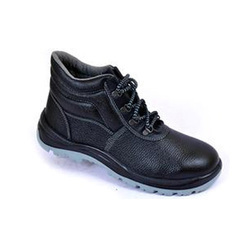 With our years of experience and knowledge of this domain, we are highly engaged in offering a wide range of Safety Shoes to our prestigious customers. Our offered range finds extended applications in various industries such as welding and molding industries. The offered range is being widely appreciated in the market for featuring variegated attributes like durability, reliability and fire resistant nature.